A two-year-old boy and his family will reunite with nurses from Emory Johns Creek Hospital’s level III Neonatal Intensive Care Unit (NICU) for a birthday celebration on July 10. 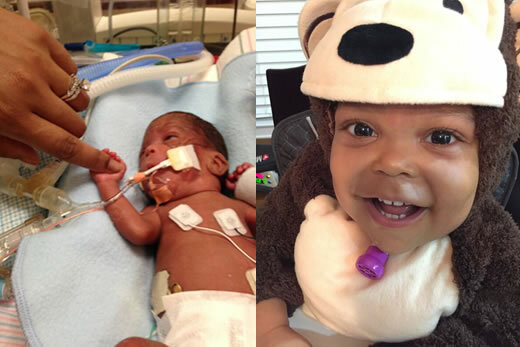 Emory Hammonds’ mother delivered him at 24 weeks and he spent more than eight months hospitalized. He weighed only one pound at birth. Emory’s parents say they named him after the hospital because of the incredible care he received from the nurses and staff. Emory’s family is asking for guests to make donations to the hospital’s NICU, instead of bringing birthday gifts. Emory Hammonds will celebrate his 2nd birthday with family,friends and Emory Johns Creek Hospital nurses. Sunday, July 10, from 2 – 5 p.m.
For parking information and to confirm attendance and coverage of this event, please contact Alysia Satchel at 678-474-8018 or alysia.satchel@emoryhealthcare.org.